It is a bit of an irony that Pokemon, a series that prominently features the evolutions of its titular creatures, has also proven to be Nintendo’s most un-evolving series. While Mario and Zelda are always looking for ways to reinvent themselves – oftentimes with wild success – Pokemon has remained content doing as its always done. New editions always mean new creatures, but to see the series aim for a sense of reinvention is as rare as its legendary Pokemon. While Pokemon X and Y may still not bring that reinvention, it does bring some of the most meaningful changes to the series since the Gold and Silver days. The most immediately noticeable difference between this Pokemon generation and its predecessors are the visuals. For the first time in the series, Pokemon is now played in a full on 3D environment, giving the series some much-needed visual liveliness. There are some framerate issues during Pokemon battles, a possible side effect of the visual overhaul, but it’s nothing too damaging given the series’ turn-based nature. The series has never looked better or more colorful, and the character animations and special attacks benefit from the 3D effects of the Nintendo 3DS. The overall structure of the game itself remains nearly identical to past entries: You play as a Pokemon Trainer, choose a starting Pokemon, battle other trainers and catch wild Pokemon as you defeat eight gym leaders before facing off with the Elite Four and a final battle. Along the way, you cross paths with yet another villainous organization, this time in the form of Team Flare (can we just bring Team Rocket back?). But within this familiar design are some welcome changes to the formula. Mega Evolutions – ever prominent in the games’ marketing upon release – serve as advanced versions of more powerful Pokemon (such as fully-evolved and legendary Pokemon) that can be summoned within battles to give you a temporary edge. 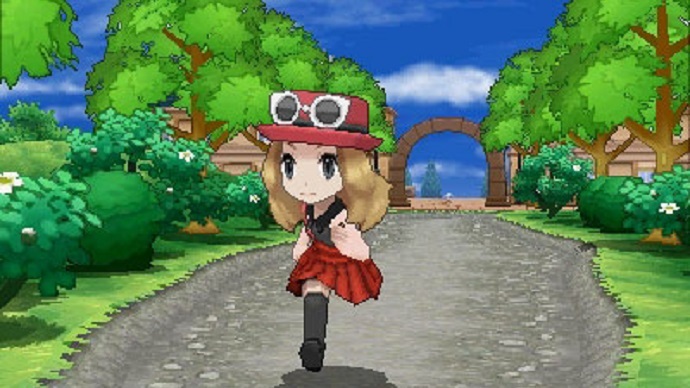 Improving your Pokemon’s base stats, which was once a taxing affair, has been mercifully streamlined with “Super Training.” Super training are simple mini-games that focus on particular aspects of a Pokemon’s base stats. Performing these mini-games over and over for each of your Pokemon can become tedious, but it is an improvement over the overcomplicated methods of past entries. 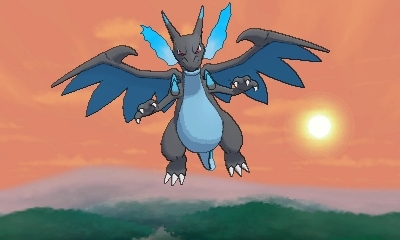 Pokemon battles also see some fun tweaks, with certain attacks being able to interact with background objects, or Sky Battles, where only flying Pokemon can compete. 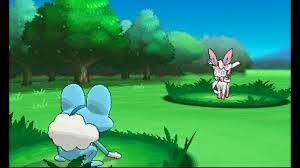 You can also come across large swarms of wild Pokemon in Horde Encounters. Other small, but fun additions outside of battles include the ability to customize your player character, and the opportunity to have a “second starter” Pokemon in the form of the original Pokemon generation’s Bulbasaur, Charmander and Squirtle. And for the first time since Gold and Silver, a new Pokemon type is introduced in the new Fairy type. Aside from the super training, these changes aren’t anything radical, but they do help bring a sense of freshness to the table. It’s just a shame that this freshness can’t be brought up to a larger scale. The gameplay itself remains fun, but the changes are too small to make it feel truly new, and the overall structure doesn’t stray from the beaten path. It would be refreshing if Pokemon introduced more than the standard eight Gym Leaders. Or maybe a different setup for the adventure altogether. The new tweaks may bring a little life back to the series, but you kind of wish the series could be given a whole new life. As fun as Pokemon is, there is a strong sense of “been there, done that” to it that Nintendo’s other mainstays have actively avoided. Even when Mario was still chasing Power Stars, he found ways to change his foundations with water packs and trips to outer space. Pokemon X is most certainly a solid gaming experience, and diehards will find that the game gives them what they want, with a whole new host of Pokemon and a fresh coat of paint to boot. But if you’ve grown a little tired of Pokemon being Pokemon, then you’ll still probably find yourself craving more from the series.